Today one of the largest ethnic groups in West Africa, the Fulani (or Fulbe) were first recorded as living in the Senegal River valley and western GUINEA. In about the 1100s, they expanded eastward. 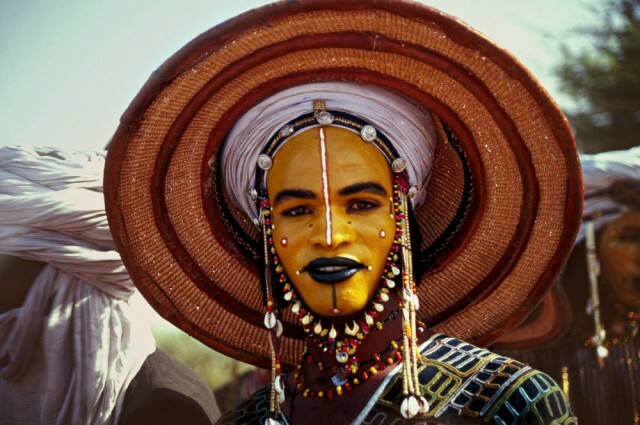 The Fulani are now widely scattered, with large concentrations in NIGERIA, SENEGAL, Guinea, MALI, CAMEROON, and NIGER. In French-speaking areas they are known as Peul. The Fulani speak Fulflde (also called Fula) and in many cases the dominant language of the area as well. Although originally migrant herders, some Fulani settled into towns and practiced agriculture in the 1100s. These town dwellers adopted Islam and played an important part in spreading the religion in West Africa. In the 1800s a Fulani scholar named UTHMAN DAN FODIO created an Islamic empire in what is now Nigeria. During the 1900s more and more Fulani exchanged their nomadic lifestyle for settled communities. The disappearance of grasslands and the introduction of modern boundaries between African nations contributed to this movement.